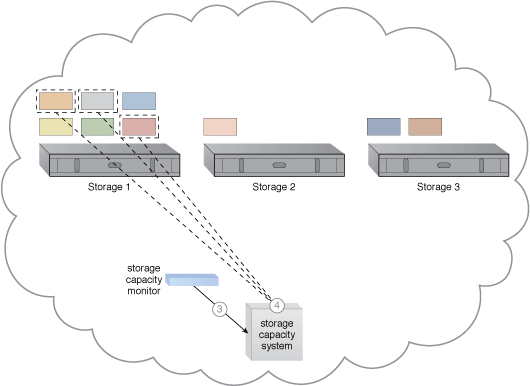 How can storage processing workloads be dynamically distributed across multiple storage devices? When storage-related processing is limited to one cloud storage device, over-utilization can occur, while other storage devices are being under-utilized or not utilized at all, resulting in a non-optimized cloud storage architecture. 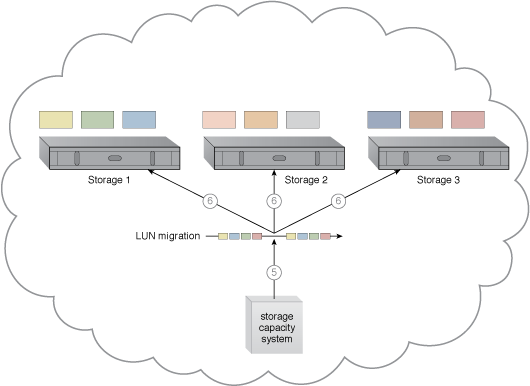 A storage capacity system is provided to distribute runtime workloads between different cloud storage devices, across the network, and to enable LUNs to be divided and managed. Cloud storage devices are combined into a resource pool from which they are scaled horizontally and in coordination with the use of a storage capacity monitor and LUN migration. 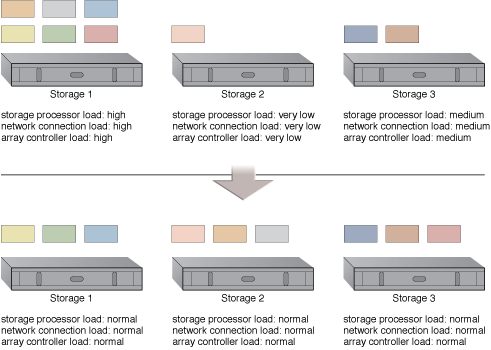 LUNs are dynamically distributed across cloud storage devices, resulting in more even distribution of associated types of workloads. 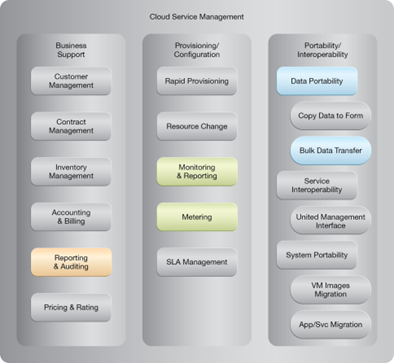 A cloud architecture resulting from the application of the Storage Workload Management pattern (Part I). 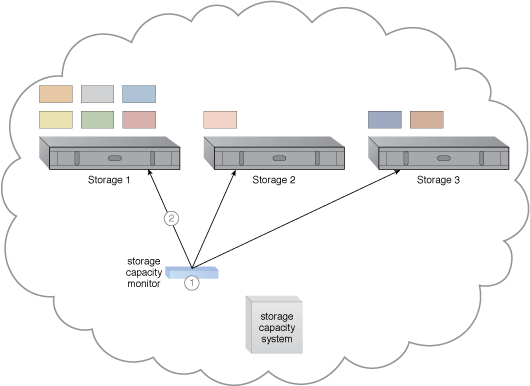 A cloud architecture resulting from the application of the Storage Workload Management pattern (Part II). 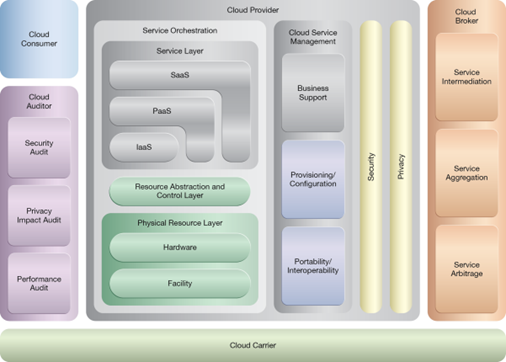 A cloud architecture resulting from the application of the Storage Workload Management pattern (Part III).